Last week was the last official practice I held for a team that was 4 years in the making. It was sad standing at the door of the rink moments before my team went on. I was set to prepare them for the biggest game of their young lives, Game 3 of the Finals, yet my heart was heavy. I knew in just a short hour and a half I'd blow the last whistle with this team. 5 years ago I was just a Dad who loved the game of hockey. My son came home one day and said, 'Can I play inline hockey for the school?' Soon after, he was signed up and I was making calls and sending emails, trying to understand what this game was all about and what he needed to get started. I'd played Ice Hockey, but this game was new. I volunteered to 'help' his local youth organization, and before the season started was given a Head Coaching position of an Elementary aged team (Grades 1-5). Here I was thinking, 'I'm going to be coaching hockey'. Man, I had no idea what I was getting into. I went into overdrive trying to figure out how I was going to coach this team and make them competitive. At this young age, the focus is usually on skills and fun and if they win, great. While I'd like to say I completely get that, the competitive side in me burned on. I've always taken a differnet approach. Focus on drills that incorporate skills, while making the boys competitve. 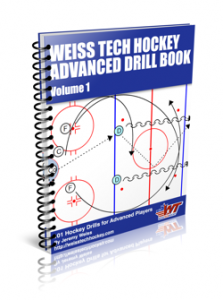 Teach them to play the game of hockey through positioning and game play situations. Push them to push themselves to get better in every situation. Players seeing themselves get better in their skills, their understanding of the game and their game play = happy players. Happy players have FUN. TEAM first attitude is what I've always taught. 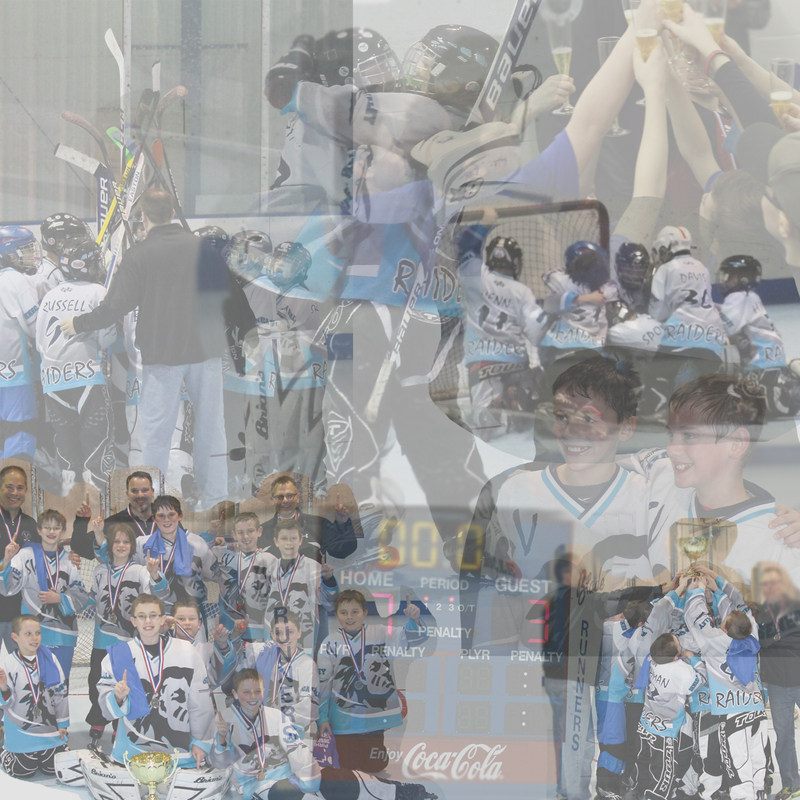 Hockey is not an individual sport, you need all players working together to accomplish a goal. I've watched some very talented groups fail, because they didn't understand this concept. The moment you get selfish, it all falls apart. Not long into my first season a Hockey Mom ran up and hugged me and said "Thank you" with tears in her eyes after the team pulled out a win in a close game. At the time, I was thinking, 'Wow, she must be really happy with the team winning'. Not until later that day when I got an email explaining the effect that my coaching and motivation had on her young son, did I finally understand. These players aren't just here to play hockey. It was so much more. I've learned how hard you can push a player and how to make them believe in themselves. I've learned that each player has his own potential and you just have to find what that is and help them reach it. Not just hockey lessons are taught on the rink, but life lessons too. Just like life, hockey is an emotional game and it has it's ups and downs. I honestly believe that hockey, unlike any other sport, teaches you how to deal with all this and 'play through the situation'. Not long ago, I was in a spirited game of knee hockey with my son and one of his teammates. As we were playing, the boy made a comment to my son about what he had to do to beat me and I said 'Wow, I have taught you something all these years.' He turned, looked me dead in the eye and said, 'No Coach. You've taught me everything!' I'd like to follow that up by saying these Players and Parents have given back so much more than they realize. They've taught me so much over the years and I'll be forever thankful. I've learned so much and it is the reason you are here on this site. I've been privileged to coach several inline teams over the years both at the school and tournament level and each one was special in it's own way. I've made a lot of great friends and relationships that will not end any time soon. I've worked with some great coaches and made contacts all over the world and I'm grateful for all of it. What a transformation it's been from that first day. I'm no longer just a Hockey Dad. I'm a Coach, a Mentor, a Teacher. 7 months ago you were each hand picked to be here. To be here in this moment with an opportunity to win it all. The opening night of practice I sat you all down and told you, 'I believe you are the best team in Elementary. Now you need to start believing it too.' I still stand by that and believe it today. Game 3 represents the last 45 minutes you'll play as a team. No matter what happens, I'm proud of the team you are and the players you are. Play hard. Skate hard. Play with Respect and Play with NO FEAR. Leave everything you have on the rink. Sometimes there is no next time, no second chance, no time out. Sometimes it is now or never. As they huddled up in front of the net, I heard a player yell, 'Come on boys, it's our last 45', I knew it would be a great day. I watched as a TEAM came together for one common goal. Worrying about each other first and themselves last. It seemed only fitting that the original 4 members of this TEAM closed out the last minute of play. As the last whistle sounded, the celebrations began. Sports Beginner? See This Link to find out HOW to start your fitness journey!